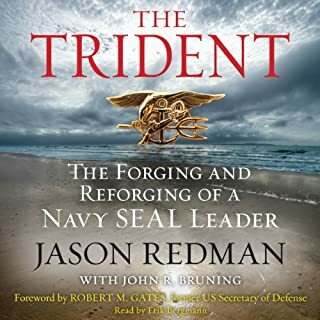 Would you consider the audio edition of Trident to be better than the print version? Yes, the reader brought the story to life. It was mesmoriing and I listened straight through in a few sittings. What about Erik Bergmann’s performance did you like? His voice showed respect and honor to the life and victories of Jason Redman. The emotions and voice changes paint the picture perfectly. I too have spent months in hospitals and when Jason first saw his children after being shot it was very emotional. This was my first ever audible book, and although I doubt future books will be as good as TheTrident, the "listening" was great.